The Seattle Seahawks have joined the growing list of NFL teams partnering with local casinos. The move follows the Supreme Court’s 2018 decision to overthrow a law, the Professional and Amateur Sports Protection Act of 1992, and the NFL’s subsequent update to its regulations. The NFL now allows teams and casinos to partner and to use the NFL trademarks in casinos and in advertising. The NFL has gradually shifted its position over the past few years, becoming more supportive of daily fantasy sports. 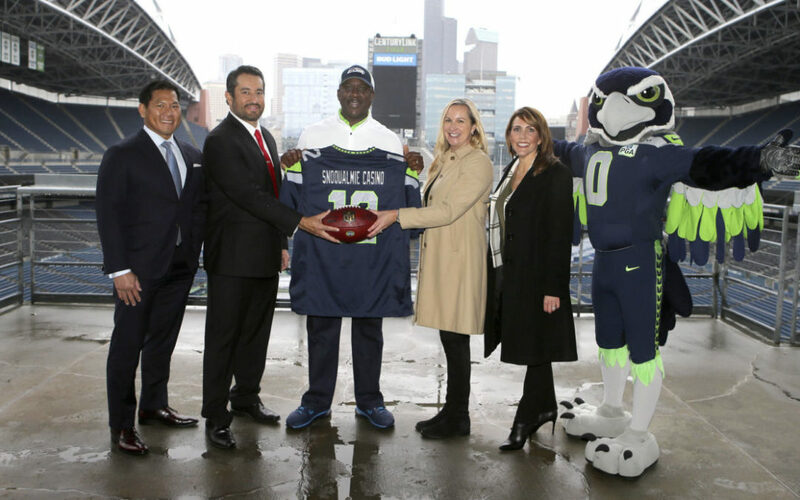 The Snoqualmie Casino and the Seattle Seahawks partnership marks the seventh of its kind in the country and the first for the Seahawks. Following NFL revisions to regulations this summer, the Dallas Cowboys and WinStar World Casino and Resort inked the first of its kind partnership for an NFL franchise and casino. The Chickasaw Nation-owned WinStar World Casino, located in Thackerville, Oklahoma, became the Official Casino of the Cowboys, as Dallas Cowboys owner Jerry Jones announced on September 6. Roughly a week after Jones’ announcement, representatives from the Seattle Seahawks called Brian Decorah, CEO of the Snoqualmie Casino, to inquire about the casino’s interest in discussing a partnership, reported Snoqualmie Valley Record.